Shortly after the Steinhoff scandal broke, a bemused senior exec urged me to look for the company’s “17th floor”. He was referring to Markus Jooste’s equivalent of an area in the Lipstick Building in New York where two dozen of Bernie Madoff’s intimates beavered away at hiding his $50bn Ponzi scheme. The just released 11-page summary of PwC’s 3,000 page report into Steinhoff finally provides clarity on how this corporate Ponzi scheme operated. Including that it was started 10 years ago by Jooste’s instruction to invent €326m in “profit” through a shell created to “buy” fictitious services from the group. As Jooste’s acquisition appetite grew, so did his need for invented profits. In 2011, €661m was fictitiously added to Steinhoff’s bottom line. In 2015, over €1bn in false profits were added. Keeping the secret required a tight “17th floor”. PwC’s hints and a process of elimination tell us just six insiders knew the truth. 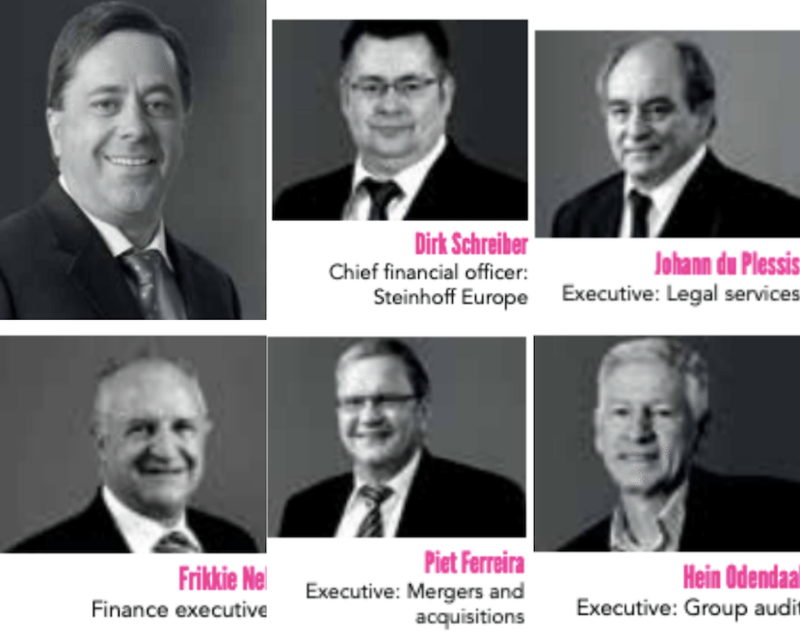 Jooste’s five intimates appear to have been in-house lawyer Johann “Dup” Du Plessis (69); finance exec Frederik “Frikkie” Nel (59); M&A exec Hendrik “Piet” Ferreira (62); group audit exec Hein Odendaal (61); and Dirk Schreiber (47), CFO of Steinhoff Europe. Together, over a decade they manufactured €6.5bn in profits to extract many billions more from investors. Quite the Dirty Half Dozen.